Home » Spirituality » Why Are So Many Spiritual People Introverts? Society often ridicules the introvert and makes us feel as though we are socially inadequate, but this is a myth, not fact. The difference between the introvert and the extrovert simply boils down to energy. The extrovert receives energy from being with others while the introvert draws energy from within. Despite societal influences that encourage us to be extroverted, the introvert will stand his or her ground and will not be influenced by societal expectations. For example, when you see just about any television commercial, it will generally show extroverted people laughing and smiling with one another. The subliminal message is that if you drink this particular beverage or eat this particular food, then you’ll be socially accepted by beautiful people who are seemingly happy. The truth behind these commercials is that they are actors who are being paid to portray the illusion that if you buy the specific product they’re endorsing, then you will also have great looking and happy friends to go along with your wonderful social life. 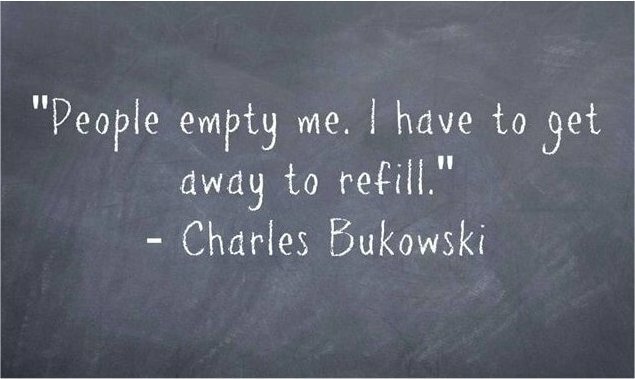 The introvert will see right through this facade. The introvert, by no means, is antisocial or shy. 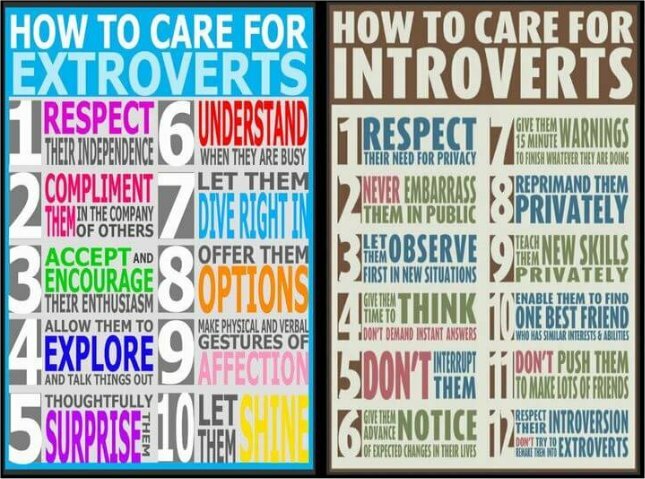 These are traits that can be observed in both introverted and extroverted people. For example, I’ve hosted numerous shows on In5D Radio but I’m extremely introverted. It’s not easy for an introvert to host a radio show, but we do it because it’s in humanity’s best interests, not our own. I don’t get paid to host a radio show. If anything, I pay $100 a month to be able to host it and spend many hours preparing for each show. So why would an introvert subject himself for 2-3 hours of being open on a radio show for no pay? Because I’m bringing people some fascinating information that may help them on their spiritual journey and that’s more important than my own introvertedness. If someone were to invite me to a party or gala event, I probably wouldn’t go… but if I did, you’d find me in the corner somewhere, watching everyone. So, how much of the population is introverted? 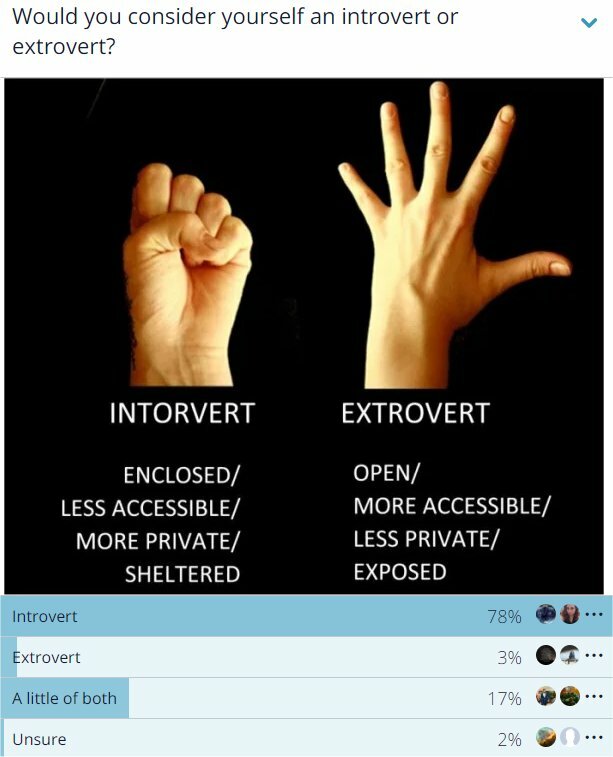 How is it possible that, in general, 70% of the population are extroverts but 79% of our readers are introverts? The answer is simple: Introverts tend to look within for answers while extroverts look to outside sources. In5D is a spiritual website that encourages people to look within while questioning everything. I’ve found that many introverts are also empaths, which means that we are somewhat more sensitive to energy than most people. In a world that is stressed out by daily fear propaganda, we feel this global stress and would prefer to stay away from people who harness this negative energy than to be around them. We also have the ability to negate and transmute these energies, but prefer to do it from afar than in direct contact with them. I’m sure there are many extroverts who feel extremely awkward, tired, or drained from pretending to be someone they’re not, due to societal expectations. Once they find themselves and can accept their introvertedness as a strength versus a perceived weakness, then they can finally feel comfortable with who they are regardless of what society thinks of them. So, while the majority of the world chooses to be extroverted, I’ll choose to go within. If you’re also an introvert, then you’re in good company! Some famous introverts include Gandhi, Albert Einstein, Jimi Hendrix, Michael Jackson, Tom Hanks, Keanu Reeves, Leonardo DiCaprio, Rosa Parks, Abraham Lincoln, JK Rowling, Julia Roberts, Kim Basinger, Tiger Woods, Kobe Bryant, Arian Foster, Larry Bird, Darrelle Revis, and Michael Jordan. 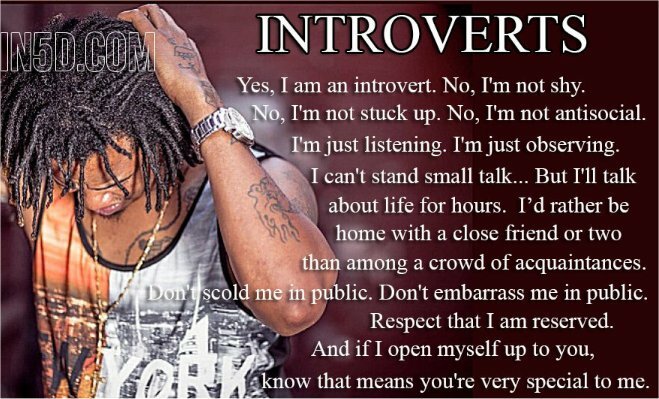 Share this if you’re proud to be an introvert! About the author: Namaste, I’m Gregg Prescott. Despite being a Triple Libra and a self-proclaimed introvert, I’m also a public speaker and have spoken at many conferences as well as hosting an online radio show and LIVE Facebook shows. As a Triple Libra, I’m constantly seeking balance. Zentasia helps to bring me to that point and In turn, I can help others in finding their moments of zen. Feel free to follow Gregg and his Facebook Live videos on Facebook as well as his Zentasia Facebook page. Peace.